Ickle and I headed to one of our favourite haunts on Friday for a girlie treat. 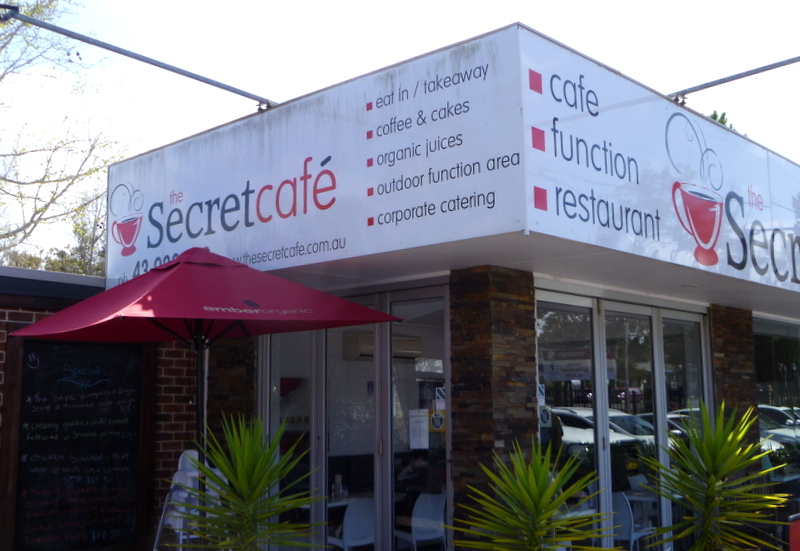 The Secret Café in Charmhaven is a recent discovery, thanks to one of our playgroup mums. 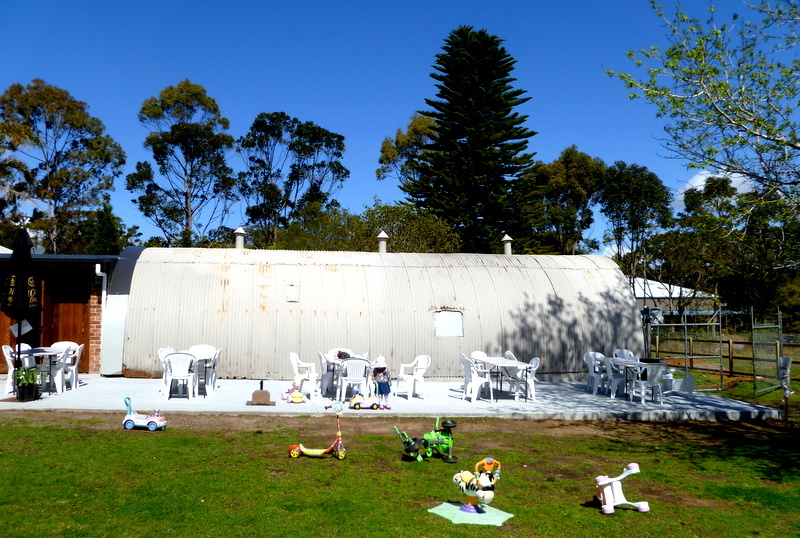 Set on 5 acres away from the road, it is a great spot for active toddlers to have a run around, while parents sip on their lattes from the sidelines. 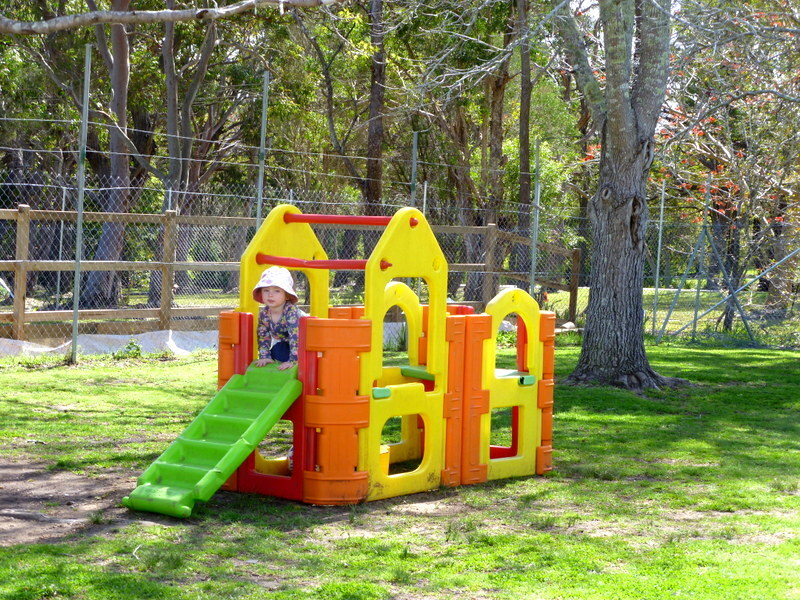 There is even a small selection of sun-baked scooters and trucks and a brightly-coloured playhouse for the littlies to enjoy. In my case, chatting away over a cuppa never seems to last for long. Ickle is high energy and loves to explore. On our last visit, she decided it would be fun to make her way at great speed to the car park at the café entrance. Several times. Leaving her mummy more than a little frazzled around the edges. This time, we had a more relaxed experience, thank goodness. 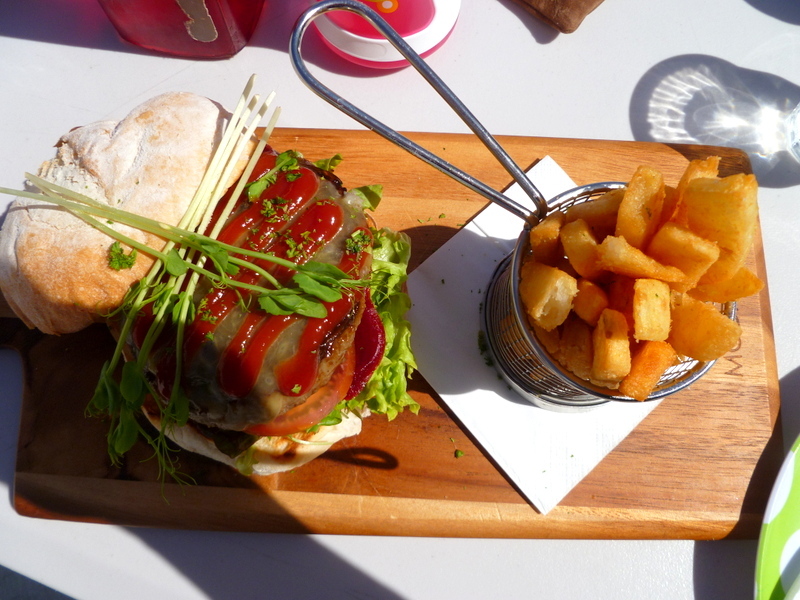 We lunched on a beautiful burger and fries, washed down in Ickle’s case with a small strawberry milkshake. And I treated myself to a delicious-looking cake. Didn’t manage to finish it, alas. The burgers really are filling, and I had gone for the basic version, too! BTW, the menu is pretty yummy overall, with great breakfast and lunch options to suit most tastes. We had the run of the garden and al fresco area for our entire stay. 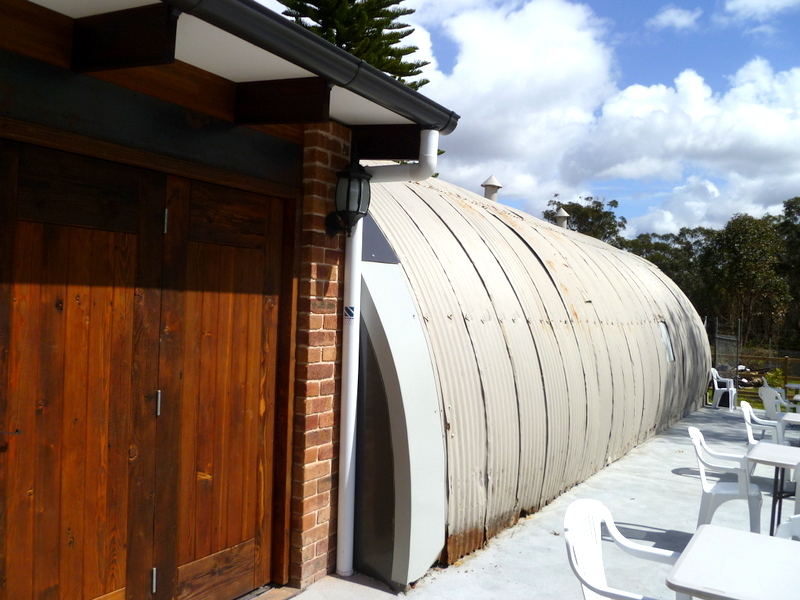 The covered courtyard proved more popular, gradually filling up with lunch-hour customers. 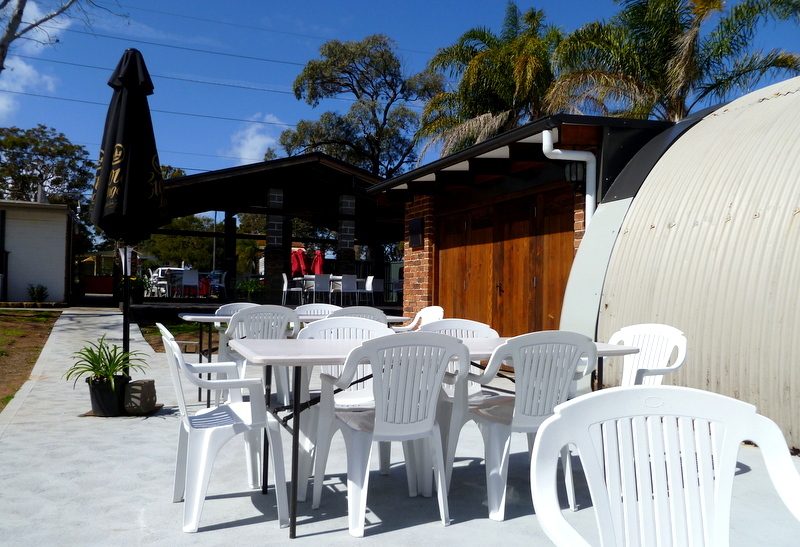 And the café has a few tables inside for those who like to be close to the kitchen (and the air-con). 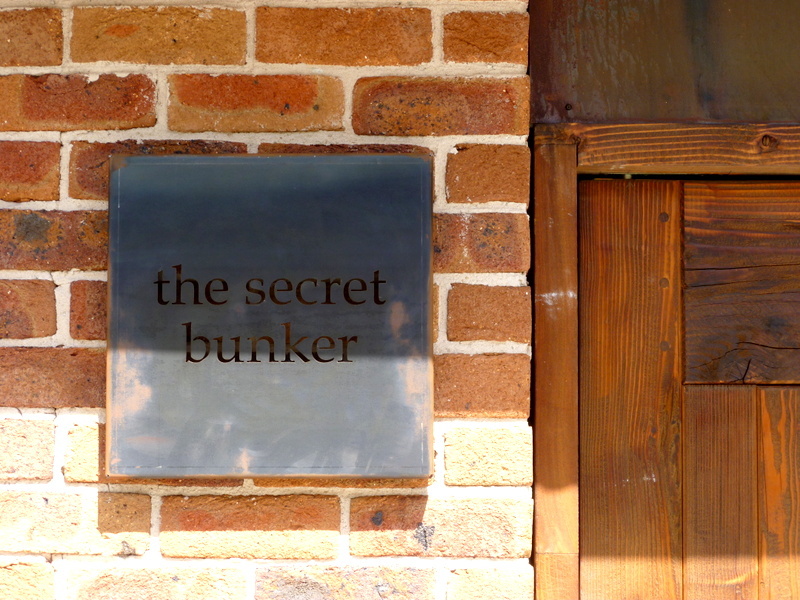 The latest, much-heralded, addition to the site is The Secret Bunker, which markets itself as a high-end restaurant serving beautiful meals made from fresh local produce. It’s an interesting idea, and the menu looks good too, although it’s possibly more of a special occasion venue given the prices…Let’s hope it works out though. There aren’t many decent places to dine out around here. Perhaps an old bunker could be the answer. This entry was posted in Close to home, Food and tagged burger, Charmhave, fresh produce, strawberry milkshake, The Secret Bunker, The Secret Café on September 6, 2014 by Laura.